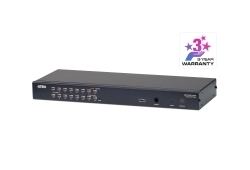 HSL-K402 HSL-K402 2 Port High Security KVM Combiner. 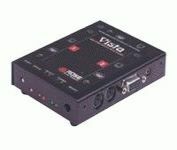 USB PS/2 keyboard and mouse DVI-D Single Link viseo, Active anti-tampering, Laser mouse included. 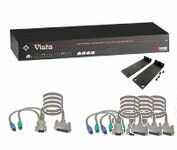 HSL-K404 HSL-K404 4 Port High Security KVM Combiner. 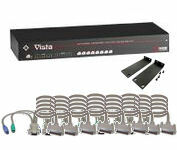 USB PS/2 keyboard and mouse DVI-D Single Link viseo, Active anti-tampering, Laser mouse included. TS4 Adder TS4, Financial trader quick switch for 4 computers keyboard and mouse control only. With Synchrony software for auto PC switching accross screens. HSL-K404E HSL-K404E 4 Port Port High Security KVM Combiner. USB PS/2 keyboard and mouse DVI-D Single Link video, Audio Out, USB User Authentication Port, Active anti-tampering, Remote Desktop Controller Port, Laser mouse included.